If it's Tuesday, it's you-know-what: Forgotten (or Overlooked) Film or other Audio/Visuals Day. Try saying that quickly three times in a row. So here's my entry for this week. Also, don't forget to check in at Todd Mason's blog, Sweet Freedom, to get the full list of participating bloggers and appropriate links. 'MR. 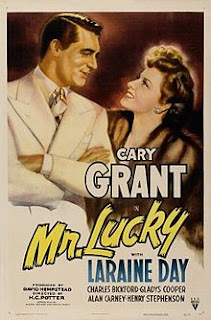 LUCKY' is a 1943 tilm starring Cary Grant and Laraine Day, directed by H. C. Potter and written by Milton Holmes. I'm operating from memory again today (with prompts from Wikipedia and IMdB) simply because I haven't seen the film in many MANY years and it isn't, currently, available for viewing anywhere. There is a DVD for purchase online, but I didn't. MR. LUCKY used to be a staple on local TV channels in the old days and features one of my favorite Cary Grant performances. Here Grant plays Joe 'the Greek' Adams, a gambler/con-man with a heart full of larceny. Really, in the first third of the film he is quite reprehensible and you do worry about him. He's such a bad guy but you know there has to be a saving grace - right? He's Cary Grant, for goodness' sake. 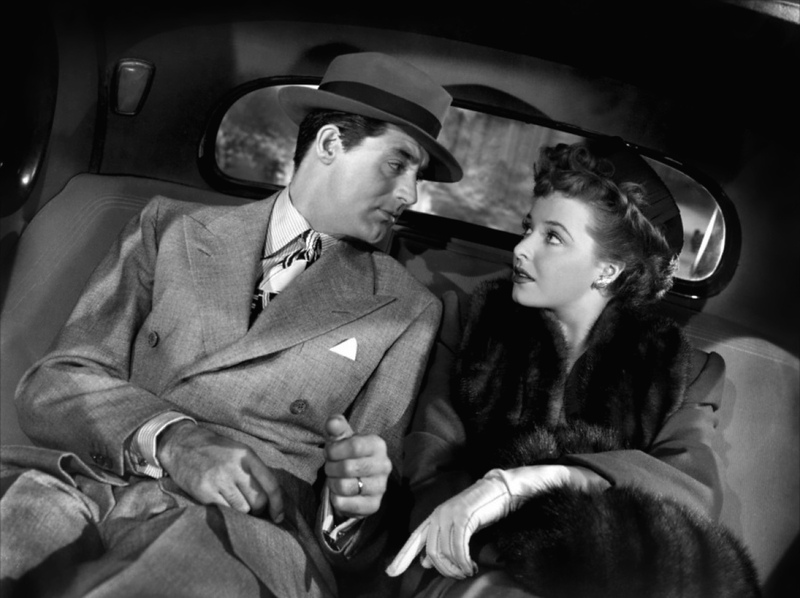 Well, our erstwhile hero is in cahoots with a really bad guy played by gravel-voiced Paul Stewart (yeah the actor who nearly lived forever and was in almost as many pictures as our beloved Charles Lane) who has no heart, period. The film opens on a scene at a dark pier where a young woman is walking anxiously back and forth, obviously waiting for something or someone. A sailor relates a story to a night watchman and we watch the movie unfold in flashback. 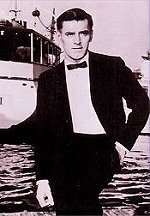 Joe schmoozes Dorothy and her society lady-friends (Gladys Cooper plays the head of the charity) into setting up a gambling ship with all the money collected (save for expenses) to be donated to their war relief organization. Society loves nothing better than throwing money at a charity while having a good time. It all works beautifully and war relief scores lots of dough. Except that Joe and his nasty partner mean to keep all the money for themselves and to heck with the charity. They will skim most of the profits and only allow a pittance for war relief as camouflage. What did I tell you? Reprehensible. But all is not lost, while all the behind the scenes double-dealing has been going on, Joe and Dorothy have been making googly-eyes at each other. He is hard-boiled and cynical, just ripe for the picking by a good and decent girl trying to do her bit for war-torn refugees. Joe doesn't believe that Dorothy's on the level - nobody can be that good. 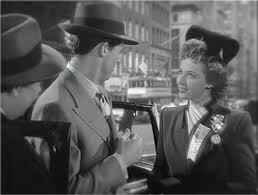 She, on the other hand, falls hard for Joe's line after he assuages her initial suspicions. I love their scenes together. It's always fun to watch a man fall in love against his will and inclinations. 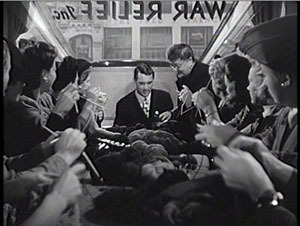 Well, after several knitting lessons (you hadda' be there), many dramatic twists and turns including a killing, a hasty escape through a window, a punch on the jaw for Dorothy, an unpleasant confrontation with the truth and the correction of a very mistaken identity (oh, and the return of the money), somehow it all works out. In the end we return to the dark pier and watch as Dorothy rushes into the arms of a tall, handsome Merchant Marine on shore leave. Joe has seen the error of his ways and done the honorable thing - thinking Dorothy believes him to be dead. He has no clue she's been waiting for him on the pier. 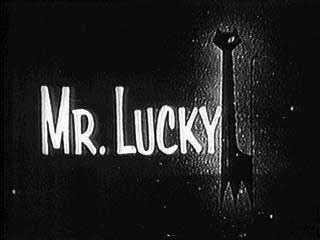 The MR. LUCKY film was also loosely adapted for a short-lived television series starring a very smooth guy named John Vivyan in the lead. It only ran for a few episodes 1959-60 but I can still remember how much I liked it and the music by Henry Mancini, the opening credits and the general ambiance. Blake Edwards was one of the directors. 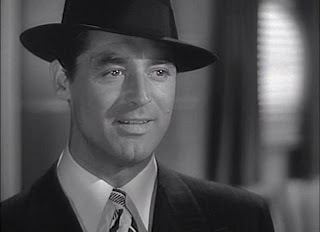 Grant at the height of his star power and good looks and he doesn;t have to die at the end - poifect! Never actually seent this one sadly - hasn't been on the tube in the UK for a very long time - I wonder of the rights to the TV remake by Blake Edwards (I think he was billed as the creator of the TV version) have somethign to do with it ... The stills you've got look absolutely wonderful - thanks Yvette (one is envious). My Mom loved this one. We watched it often. Well, you'll just have to hunt around until you find this one, Sergio. 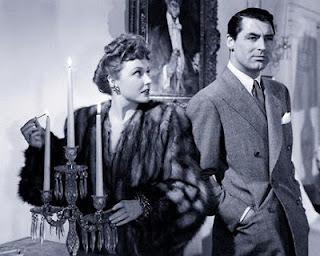 It's a 'must-see' for all Cary Grant fans. I found those pix online, m'dear. Just cruising around. Okay Patti, everyone knows I'm old enough to be your mom. No need to rub it in. HA! A wonderful film. Your ma has good taste. Yup this one slipped through my radar. I think I have heard about it but that is about it. Great cat though. 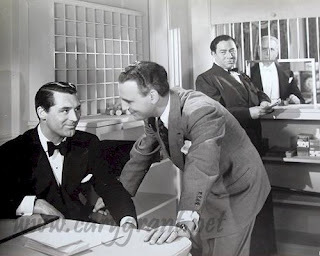 Do you or anyone know the name of the main song played throughout the film "Mr. Lucky?" I think it was Something To Remember You By. I believe Lucky whistles it at some point. I don't think that is what he was whistling. I grew up on that movie & I always whistle that tune. I've looked it up many a time, but have not been able to find it. I looked up "Something To Remember You By" & I couldn't find anything close, but there are a few hundred songs by that name. I've even tried Sound Hound & Shazam a few times with no luck finding it. What group or singer/writer were you thinking? From the musical "Three's A Crowd"